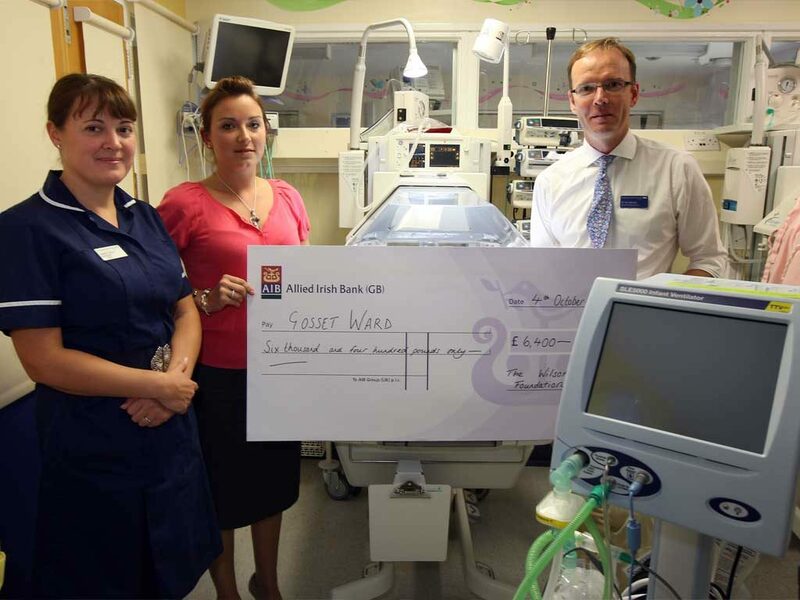 The Wilson Foundation proudly donated £6,400 to Gosset Ward at Northampton General Hospital, in order for their parent consultation room to be refurbished and to purchase vital equipment for the ward. Gosset Ward (Special Care Baby Unit) cares for approximately one in ten newborn babies born at NGH, who are either born prematurely or are too weak to go home. The donation allowed the hospital to create a dedicated area away from the cot-side where the doctors can talk to parents in private and comfort about their baby’s progress. The money was also used to purchase a phototherapy lamp and two humidifiers. ‘This room has also expanded our capacity to accommodate parents overnight when their baby is critically unwell or later on during their stay when they are getting ready to go home as a family…we will use this room every day so we are extremely grateful’ Nick Barnes, Consultant Paediatrician at NGH.